The annual Serie Del Caribe or the Caribbean Series represents the highest honour for the baseball-loving nations around the Carribean region. It is considered to be one of the must-watch events around February as six nations’ best winter leagues teams are competing against each other in a tournament format. In the 2019 Caribbean Series, there are four players related to the CPBL. Radhames Liz, Cesar Valdez for the Team Dominican Republic and David Martinez, Ricardo Gomez representing Team Venezuela. Cesar Valdez only pitched 0.1 innings with one hit-by-pitch against Team Panama. However, coming into the Caribbean Series, he posted a solid 1.95 ERA and 0.83 WHIP across 27.2 innings for the Tigres del Licey in the Dominican Rebpulic Winter League (LIDOM). In 2015, the Lamigo Monkeys signed Ceasar Valdez out of the Mexican League before the CPBL August 31 Trade Deadline. Valdez wound up with a 5.52 ERA and 1.60 WHIP over 45.2 innings for the 2015 CPBL season. It is worth noting, after leaving the CPBL, Valdez eventually made his way back to the MLB, pitching for the Athletics and Blue Jays in 2017. Radhames Liz made his Caribbean Series debut against Panama on February 8. In 3.1 innings, Liz gave up four hits, while issued two strikeouts, two walks and was charged with two earned runs. Despite his fastball sat around 94-95mph and topped out at 97mph, his control was all over the place. The Lamigo Monkeys announced the signing of Radhames Liz as their 2019 foreign players on February 1. Before his signing with the Monkeys, Liz posted a 2.98 ERA and 1.05 WHIP over 45.1 innings pitching for the Estrellas de Oriente in the Dominican Winter League. David Martinez did not pitch in the Caribbean Series at all, nor will he gets a chance to do so since Team Venezuela lost their last game against Cuba on February 9. Despite Cuba, Mexico and Venezuela all finished the group play with a 2-2 record, Cuba will advance to the final because having a higher run differential. The Uni-Lions signed David Martinez as their 2018 foreign pitcher at the beginning of the season. In August, Martinez was released by the Uni-Lions after posting a 7.73 ERA and 1.76 WHIP over 75.2 innings. 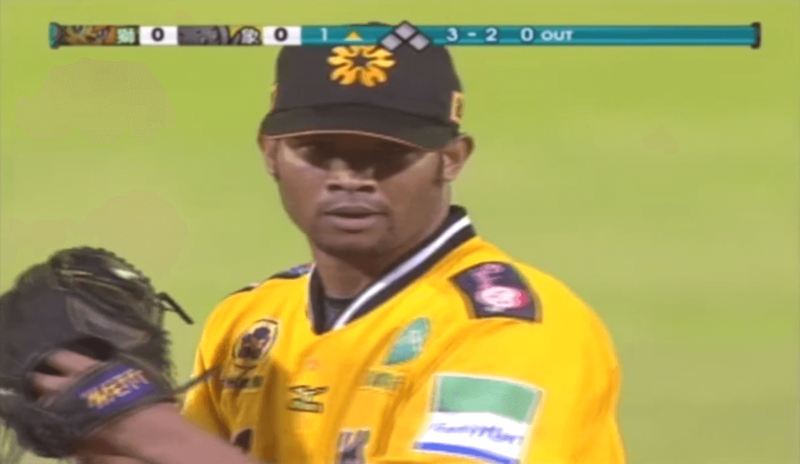 After CPBL, Martinez returned to Venezuela and pitched for the Cardenales de Lara in the Venezuelan Winter League (LVBP). He wound up with a solid 2.92 ERA and 1.12 WHIP across 11 starts, 52.1 innings. Ricardo Gomez was the best relief pitcher this season in the Venezuelan Winter League (LVBP) with a 2.91 ERA and1.38 WHIP over 21.2 innings. In the 2019 Caribbean Series, Gomez tossed two scoreless innings with two strikeouts over three games. The Brother Elephants signed Ricardo Gomez in 2011 to replace Ryan Cullen before the August 31 Trade Deadline. Gomez finished the 2011 CPBL season with a 4.61 ERA and 1.23 WHIP over 43 innings. Apart from the four players, there are also a few loose CPBL connections to this years’ Caribbean Series. The first one is Jose Leon, the hitting coach for Team Panama. Leon who played in the CPBL for the Macoto Cobras and dmedia T-REX from 2007 to 2008. He slashed .315/.353/.532 with seven home runs over 34 games and 133 plate appearances across two seasons. Jose Leon turns out the be dirty during his time in Taiwan, he was under investigation in October 2018 and was indicted for game-fixing in December 2018. Leon however, had already left the country before the investigation started. The second one is a bit of a six degree from separation, Team Panama’s right-hander Enrique Burgos (Arosemena), who picked up a crucial win over Puerto Rico on February 7. His father is Enrique Burgos (Calles) who was one of the first CPBL foreign players in the early ’90s. Enrique Burgos (Calles) pitched for the Uni-Lions from 1990 to 1992 and then made it back to the MLB in 1993 and 1995. 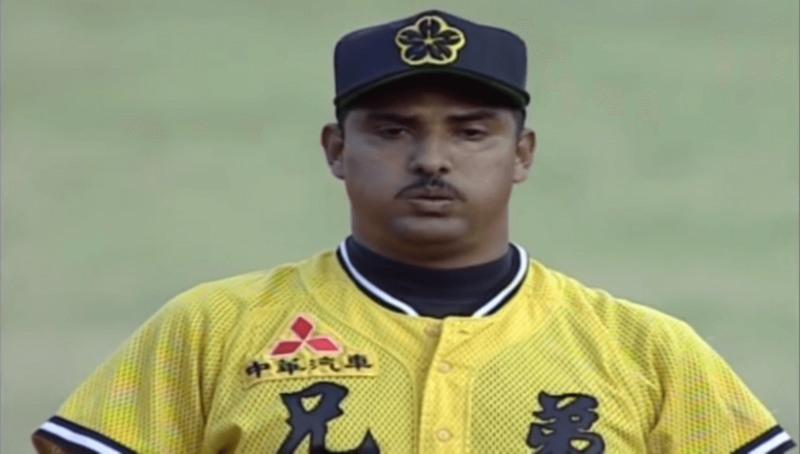 After MLB, Burgos returned to Taiwan and joined the Brother Elephants from 1996 to 1997. In five seasons in the CPBL, Burgos had a combined record of 3.20 ERA and 1.40 WHIP over 717.2 innings. It is worth noting that Burgo won four strikeout titles during his five-season career in Taiwan. *Note: Burgos shared the 1990 strikeout title with Huang Pin-Yang (177 SO). For 1992 strikeout title he shared that with Joe Strong (131 SO).